QuickBooks Barcode – why re-enter data into Labels? QuickBooks Labels easily generated utilizing all the powerful data you already have in QuickBooks. 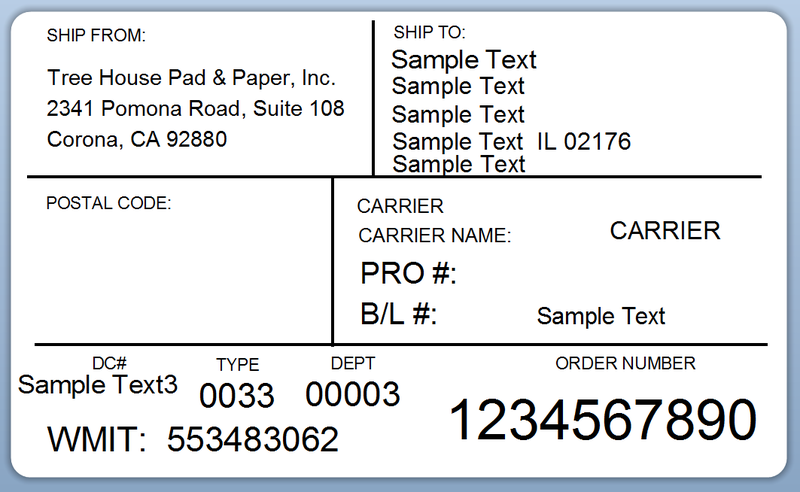 Product Marking Labels generated using QuickBooks Invoice Data. Easily add Logo's and other static elements using Bartender designer. AIAG B10 Label created by using existing QuickBooks Data. 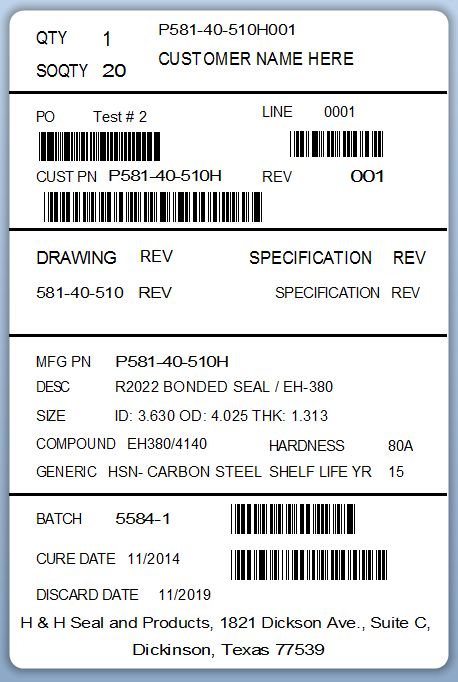 Product Marking Labels with Barcodes for Scanning. Any element from Bartender can also be added. 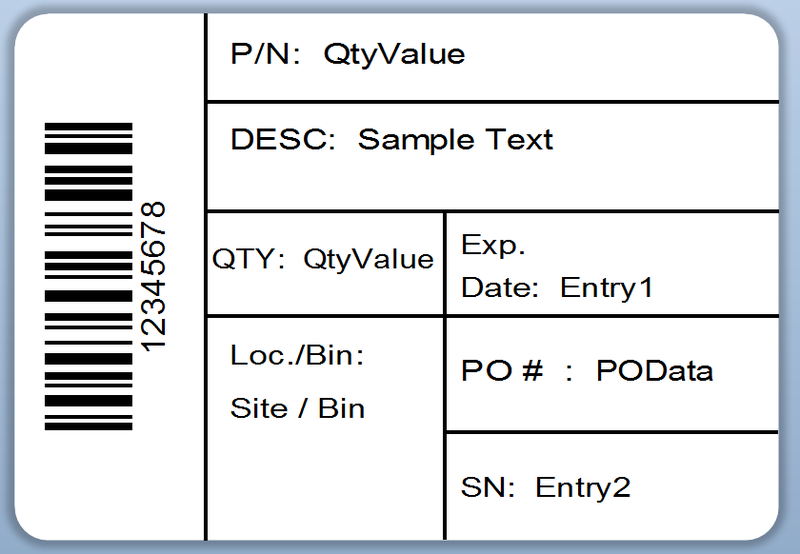 Generate quantities equal to the order amount or alternatively generate 1 label per order line with quantity on the Label equal to the order amount. Set default bahavior. 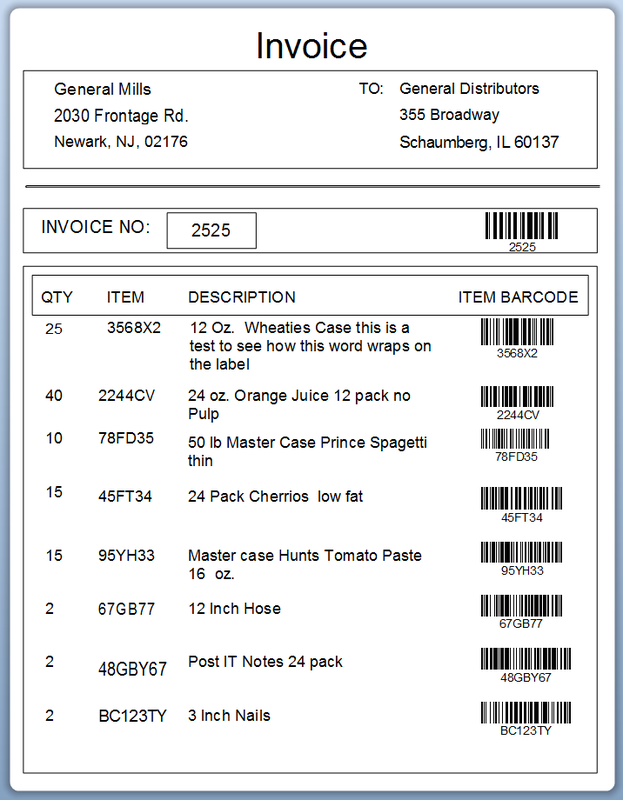 Use QuickBooks Receipts to Label incoming products with Barcodes, Locations, and Purchase Order Information. 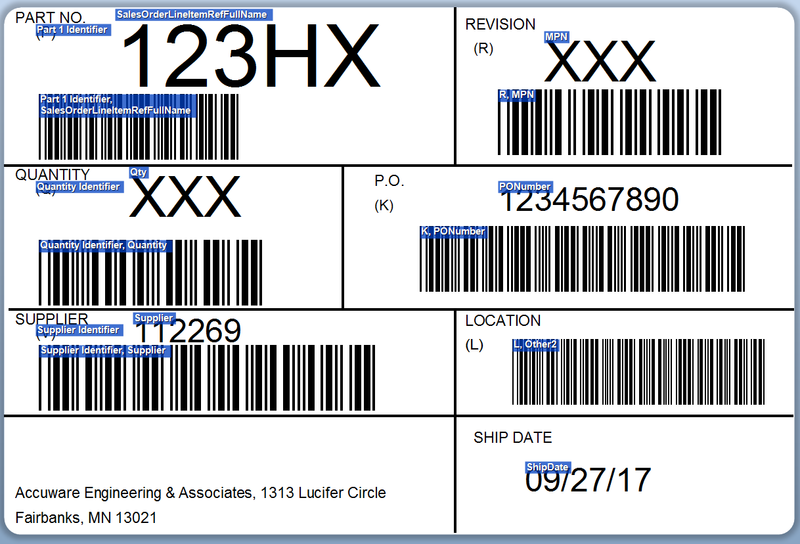 Walmart Compliance Label: This Label was generated using QuickBooks Sales Order Data to provide compliance Labels to ship to Walmart. QuickBooks Sales Order Data as well as Item Custom fields can be included to allow very detailed Product specifications to be printed on the label if you populate this data into your Item screen custom fields. QuickBooks Data can be used to create sheets of Barcoded items data . Useful for customers who require this or for Picking lists to be used with scanners. QuickBooks Purchase Orders and Data can be used to mark inbound Materials and goods as they arrive. 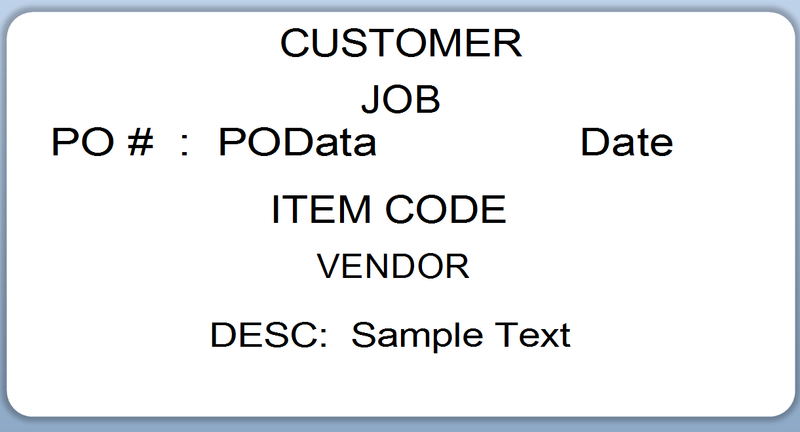 Optionally add eventual customer and Job information on the label. 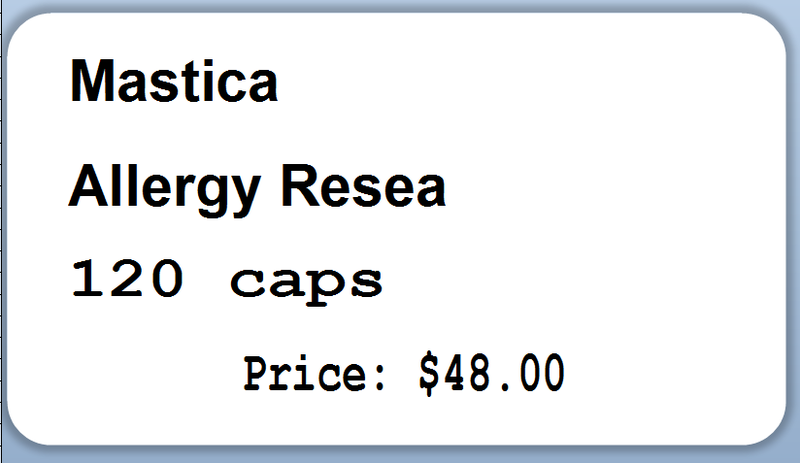 Use Receipts Data to generate shelving Labels or inbound product Labels. QuickBooks Invoice data can be used to generate complex compliance labels. 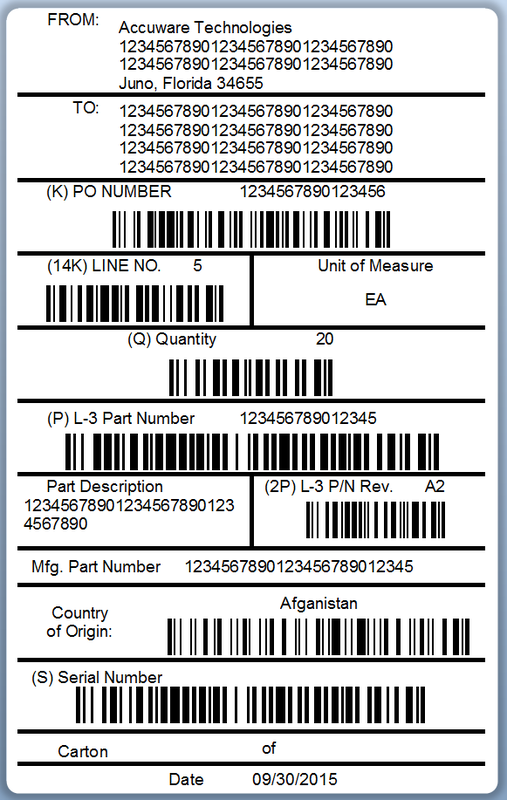 Barcodes of any type are supported. Detailed shipment information gets automatically added out of the Invoice data. 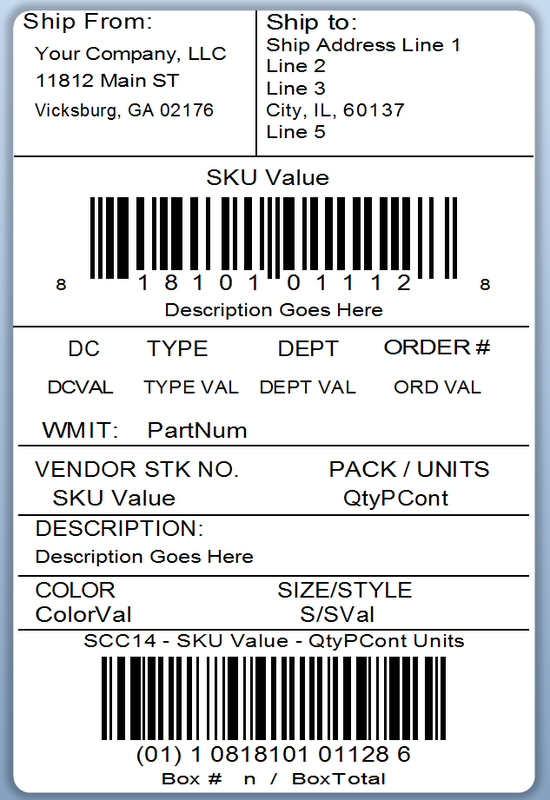 QuickBooks Invoice data can be used to generate Walmart SCC14 labels. 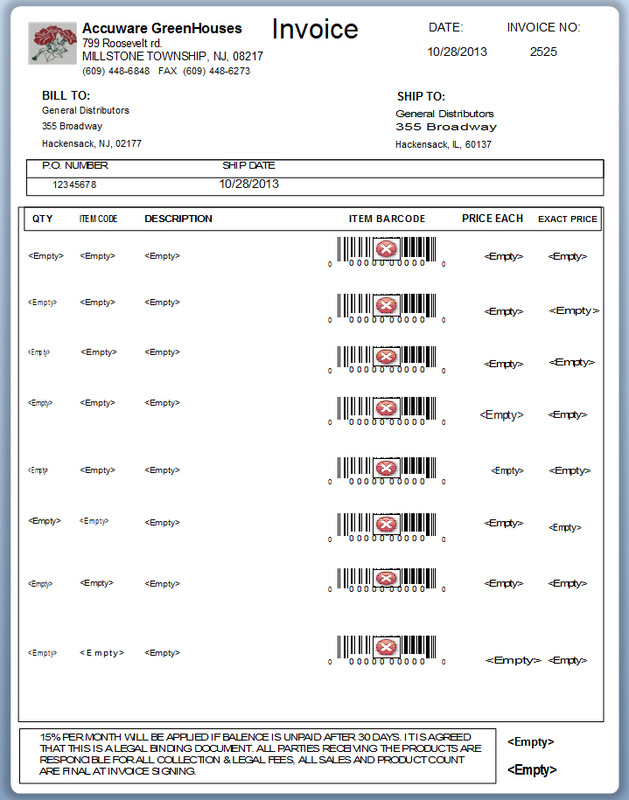 Using QuickBooks Invoice data create Barcoded Invoices with totals shown. 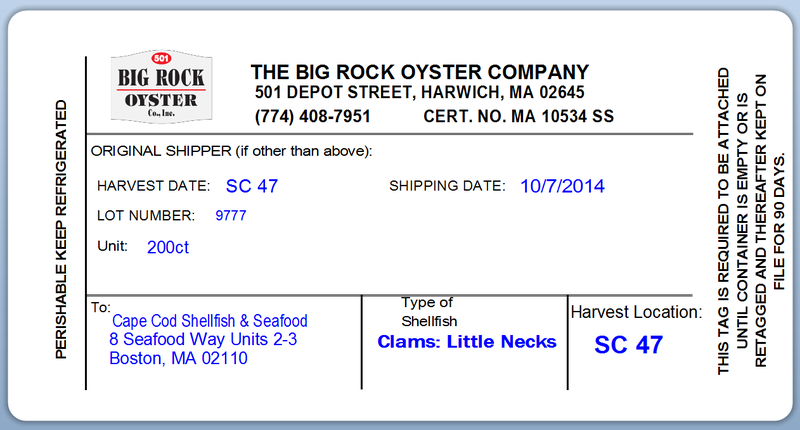 Any element on the Invoice can be Barcoded.